Today I am showing off a commissioned pen that I completed and sold yesterday. My doctor admired one of my pens prior to me going into surgery and wanted me to make him one for his wife. I saw my doctor again yesterday and gave it to him. He loved it and thinks his wife will too! 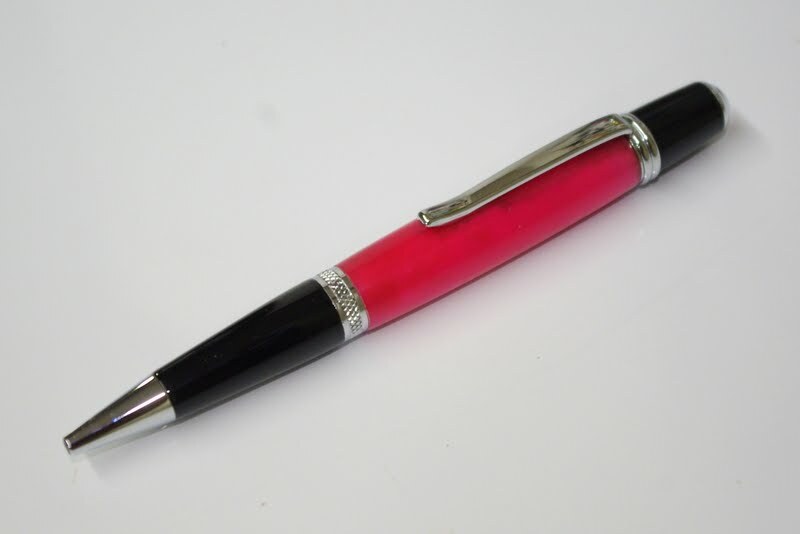 The pen style is a Wall Street with a hot pink acrylic body. Just a side note, but how often is it that you walk out of a doctor's office with more money in your pocket then when you came in? I think it's pretty awesome!